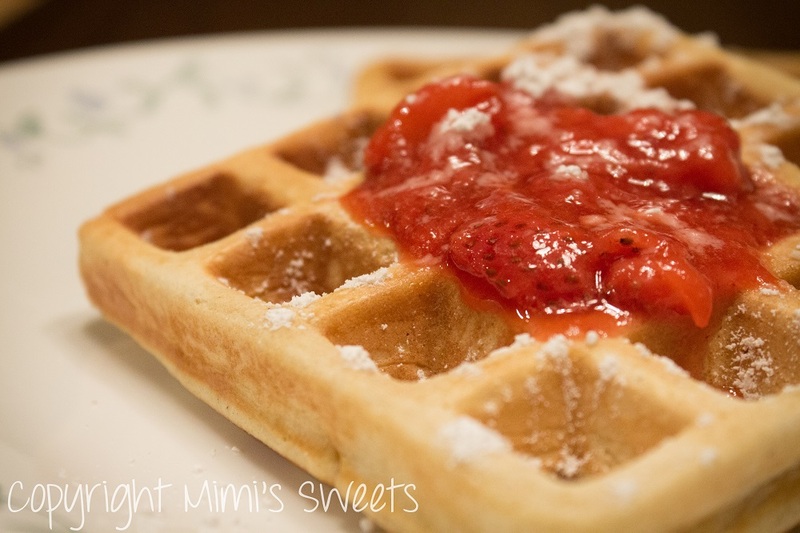 Incredibly easy to make homemade waffles and pancakes! Keep reading... I'm going to give you the recipe! I've always been a firm believer that homemade is better than store bought. It not only tastes better, it's better for you too! To be honest, I am probably a little spoiled considering that my mother (who comes from an Italian family) made everything from scratch-- preserves, bread, sauces, pastries, and even pasta noodles! With that kind of mom, how could I not be biased towards homemade? This recipe, using a .25 measuring cup, makes approximately 9 pancakes and waffles. If you're mixing by hand, I recommend using two separate bowls (one to mix dry ingredients, one to mix wet ingredients-- then slowly pour dry ingredients into wet as you mix). If you're using a mixer, I recommend putting all the ingredients in together and mixing on low to avoid over mixing. I use a large griddle for the pancakes and, of course, use a waffle iron for the waffles. For the pancakes, I set the griddle at 325 degrees, and set the waffle iron on the lowest setting. This keeps them from getting too dark. Since my waffle iron doesn't flip over, I don't flip them. However, I flip my pancakes over when the edges start to look solid and the bubbles in the batter start to pop. 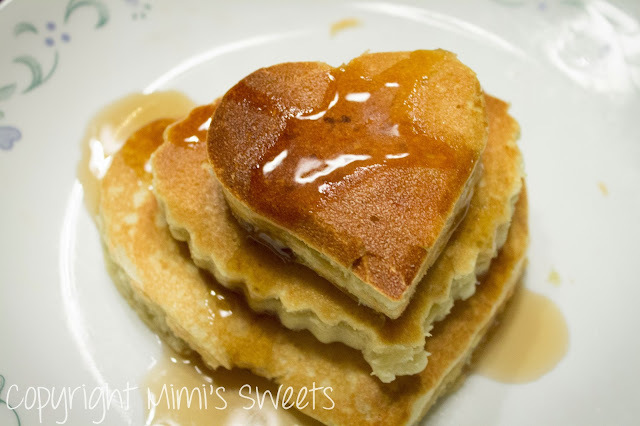 I made heart shaped pancakes for my husband for Valentine's Day dinner, and he ate six pancakes before I could even get over to the table and sit down with him! To give you an idea of the difference between using buttermilk and 2%, the waffles pictured at the top of the post were made with 2% milk and the pancakes were made with buttermilk. If you have any questions, please let me know. I would be more than happy to try and help you out! While you're here, go ahead and check out the rest of my website to see everything that Mimi's Sweets has to offer. I would love to work with you in the future!